Montario Hardesty has joined the Charlotte 49ers coaching staff as wide receivers coach. 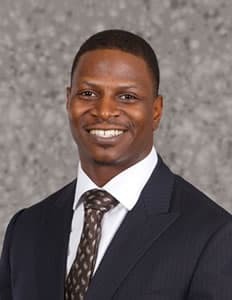 Hardesty, who spent the 2018 season as an offensive quality control coach at his alma mater, Tennessee, played professionally as a running back with the Cleveland Browns. Following his playing days, his coaching career included stints at Norfolk State, Florida Atlantic and Tennessee. As a player at Tennessee, Hardesty rushed for 2,391 yards in his career, including 1,345 as a senior in 2009. He scored 27 touchdowns in his career. He was a second-round NFL draft pick by the Browns in 2010 and compiled 537 rushing yards in two playing seasons, with one touchdown and 138 receiving yards. In 2017, Hardesty was an assistant strength and conditioning coach at Florida Atlantic for his former college coach, Lane Kiffin. He spent two years as running backs coach and special teams coordinator at Norfolk State during the 2015 and 2016 seasons. A native of New Bern, North Carolina, Hardesty got his coaching start at Chowan University, where he served as an intern in 2014 under the NFL Players Association internship program before joining the staff at Norfolk State. He played at Tennessee from 2005-09 and earned second team all-SEC honors as a senior. He scored 14 touchdowns and ranked fourth in the SEC in rushing. His 1,345 rushing yards still rank as the fourth-most in school history. The Browns second round draft pick in 2010 missed the season with injury. He played in 23 games during the 2011 and 2012 seasons and was placed on injured reserve by the Browns for the 2013 season following arthroscopic knee surgery. Hardesty earned a bachelor's degree in sports management from Tennessee in 2009. Healy's coaching staff also includes assistant head coach and co-defensive coordinator Marcus West, offensive coordinator Alex Atkins, quarterbacks coach Mark Carney, co-defensive coordinator Brandon Cooper, run-game coordinator Sean Dawkins, cornerbacks coach Eddie Hicks and special teams coordinator/linebackers coach Max Thurmond.